A storm is brewing and its category is of the tastiest nature. Refresh and refine the palate with food, glorious, food experiences complemented by the crème de la crème of finely crafted and household name beers. 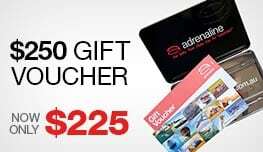 So blow the froth off a few and tempt the taste buds with a delicious range of Australia-wide brewery tours and beer-tasting experiences that have been expertly sourced and offered online at Adrenaline. 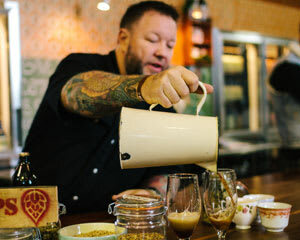 These delectable foodie experiences, featuring chef-prepared cuisine with matched craft beers, will have beer lovers everywhere toasting their tasteful selection of brewery and beer tours to savour. 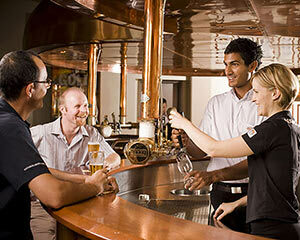 What’s more, they take place at Australia’s most renowned breweries and are all offered at bottom-of-the-schooner prices. 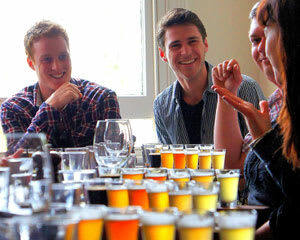 What makes beer tasting so much fun? Have you ever enjoyed a round or two of pale ales, bitter stouts, black as pitch Guinness or the craftiest of craft beers with your mates? Sure you have. 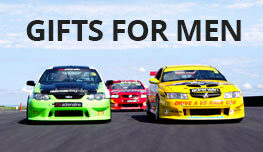 That’s why the rarefied pleasure of showcasing the finest beers with foods to match is a gift to forever treasure. What is the most popular beer-tasting experience? 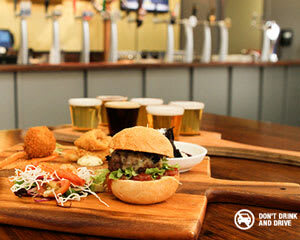 The Carlton & United Brewery Tour with Beer and Food Matching, Melbourne, provides the chance to give the beer enthusiast in your life a fully guided, fun-filled and interactive tour of Australia’s best known and largest brewery. Home to Carlton Draught, Victoria Bitter, Pure Blonde, Foster’s and many more, made at the nation’s oldest brewery, this budget-priced packages offers a behind-the-scenes tour to take in precisely how two million litres of beer is brewed. Willing recipients will of course also have the chance to enjoy a beer or two afterwards with matched food plates by CUB’s head chef. There are six menu selections on offer: think artisan burgers, crunchy, colourful salads and other tasty morsels, all expertly matched to Australia’s best-known beers. Who would love a beer-tasting experience? That’s easy: a beer fanatic or aspirant, aged 18 years and above. 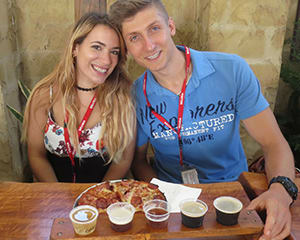 But the specialty brewery and food matching tours on offer at Adrenaline are not merely the domain of the multitude of avid beer lovers for which this country is renowned. Anyone who craves fresh gourmet experiences in the finest and lovingly produced craft beers with exquisite chef-prepared cuisine to match would thrill to a beer-tasting tour. How many people can I bring with me on my beer-tasting experience? More is more when it comes to the fine art and convivial surroundings of all the beer-tasting experiences on offer at Adrenaline. 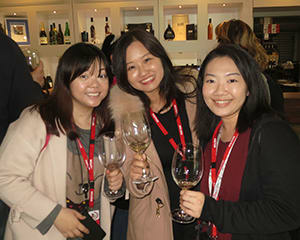 Packages, such as the Sport and Beer Tour of Melbourne or the Beer Lovers’ Paradise, Carlton & United Brewery Tour – Melbourne, are custom oriented towards group bookings, which also attract the lowest possible tariffs. Is a beer-tasting experience expensive? 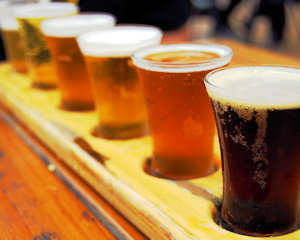 Beer lovers will be laughing all the way to the bank, or at least brewery, such are the rock-bottom prices and product abundance of these beer-tasting tours. 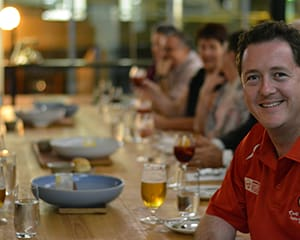 When you consider the value of the complete package of the freshly listed Brewery Tour Melbourne, Urban Beer Odyssey Night Time Tour, which includes guided tours to the city’s best breweries, generous gourmet pizza tastings and craft beers aplenty, you’ll wonder what took you and your beer-loving mates so long to sample a brewery and food-tasting experience.